All funds raised will go directly to International Fibrodysplasia Ossificans Progressiva Association . Sunday, April 23 is FOP Awareness Day. On this day, the FOP community celebrates the eleventh anniversary of the 2006 announcement of the discovery of the FOP gene, ACVR1, by researchers at the University of Pennsylvania School of Medicine. 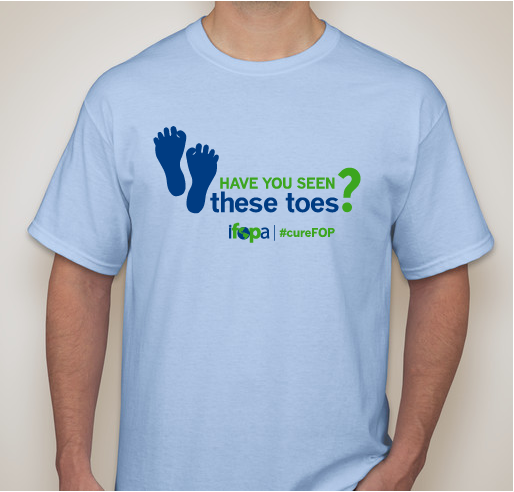 Help us spread the word about FOP with your 2017 Awareness Day t-shirt. For my son with FOP toes. 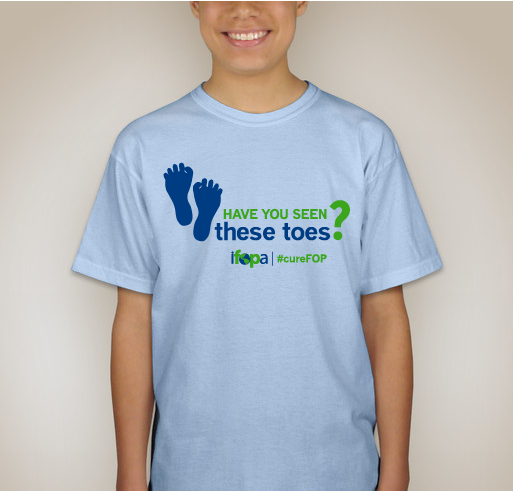 Share Why You Support "Help Support IFOPA!"